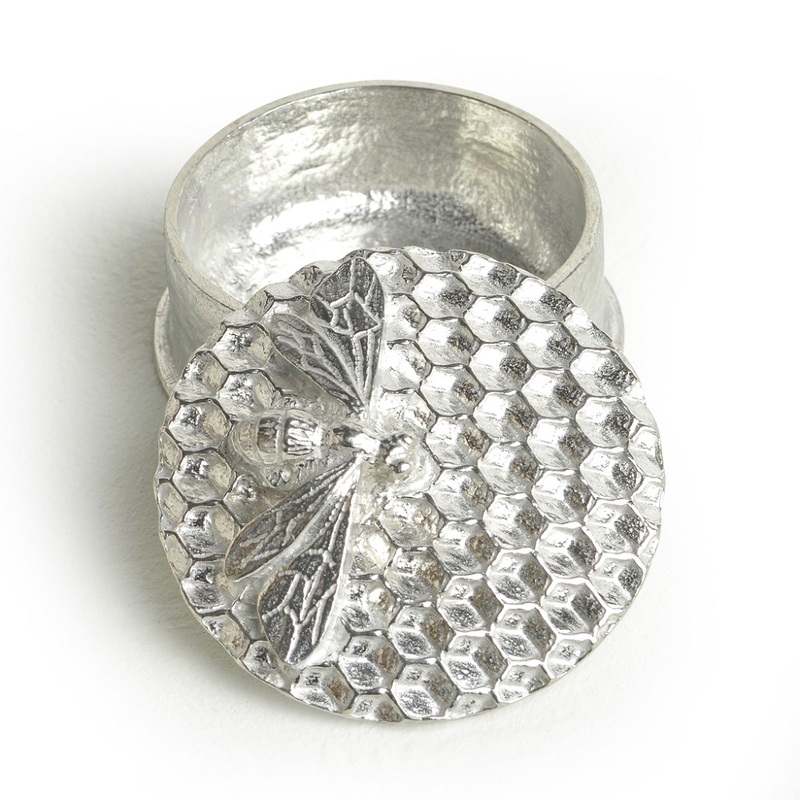 A great gift for beekeepers and conservationists, this handcrafted pewter trinket box has a honey bee resting on a bed of honeycomb on the lid. Polished lead-free pewter, non-tarnishing. Wash with warm soapy water. 5cm diameter.